Many people love spring time. The sun stays up longer each day and plants start to bloom. While watching plants bud and bloom may be beautiful, it can also cause many people to run for shelter. When spring decides it’s time to appear again each year, the beautiful flowers and full foliage in the trees cause a wide variety of allergies for many people. Seasonal allergies can be an annoying and complicated issue for a lot of individuals. But there are many different things you can do to take on the histamines in your body that flare up every year, and provide your body the immune support that it needs to stay as healthy as possible. Histamines are a chemical compound created by the immune system. Much like how a skunk will spray enemies in order to protect itself, histamines in the body create a negative reaction in order to help rid the body of any potential invaders. The result can range anywhere from a sniffly nose to severe skin hives. Histamines do whatever it takes to try and get rid of molecules that they view as invaders. Histamines work through a process where once they are released by mast cells in the immune system. They then trigger increased blood flow and inflammation in the area affected by the allergen. Think as histamines as the body’s bouncers. They make sure that any invaders that don’t belong are eliminated; however, they don’t care about the cost of doing so. Once histamines have done their job, they then have to be broken down and removed from the body or else they will continue to cause allergy symptoms and inflammation. 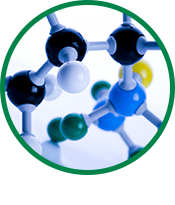 A special enzyme known as diamine oxidase or DAO, is specially created for such a task. However, DAO is often not found in high amounts, especially in people who have chronic reactions to histamines. How does vitamin D fit into this picture? Vitamin D is a crucial vitamin for immune support and regulation. It’s exceptionally critical in helping to reduce histamines in the body. Vitamin D is a fat soluble vitamin that helps you absorb and process calcium, magnesium, and zinc, among other things. If you’re deficient in vitamin D, you’re going to struggle to absorb these nutrients that are critical to the production of DAO enzymes, increasing your body’s overall histamine load. On the flipside, if you get enough vitamin D, your body is not only able to produce an appropriate amount of DAO, but it can also provide optimal regulation of the mast cells throughout your body that release histamines. Individuals who get enough vitamin D tend to have lower histamine levels in their bodies overall. 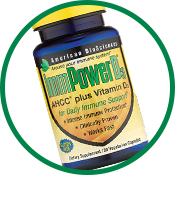 When you need optimal immune support during allergy season, turn to ImmPowerD3 to get high levels of vitamin D and other immune boosting ingredients. Learn more about ImmPowerD3 online with the Harmony Company today!